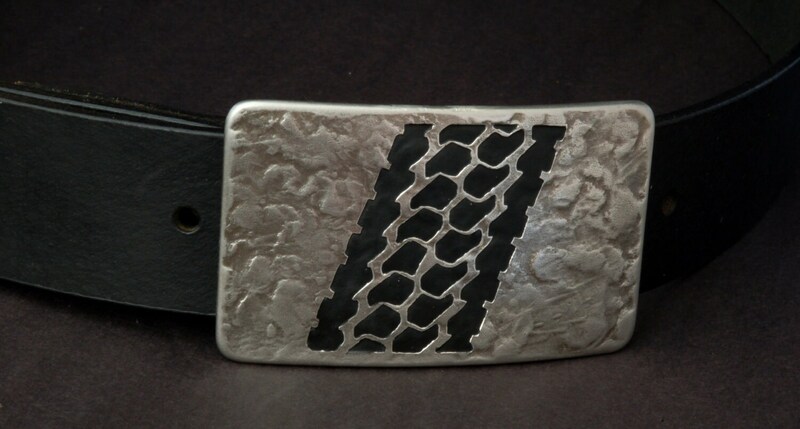 Jeep belt buckle. Silver 4X4 off road accessories. Hand Forged stainless steel accessories. 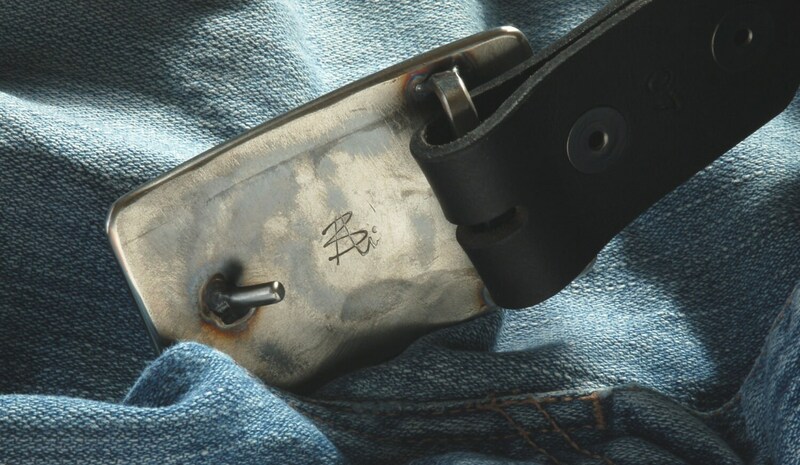 Tire Track design is made in Canada to fit any 1.5" belt with snaps for blue jeans. 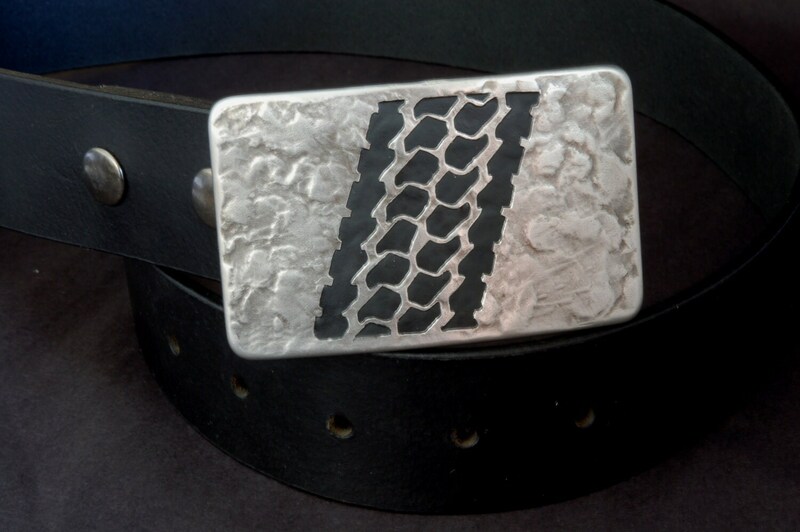 Belt buckle is anvil textured stainless steel with Jeep 4x4 Off Road design hand etched. Rugged texture is created on the anvil. 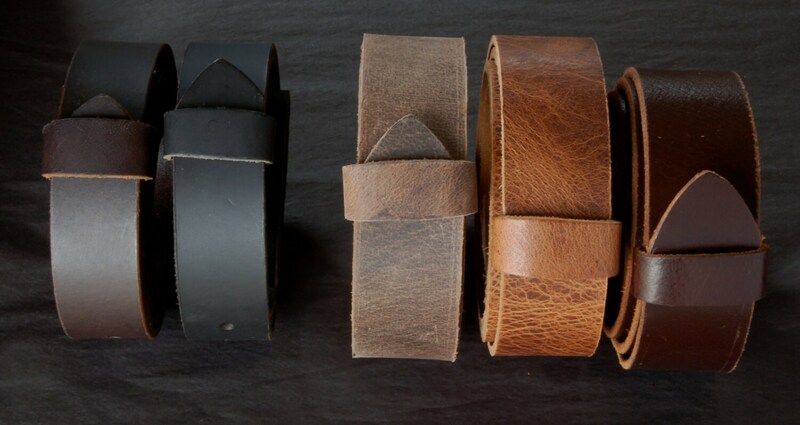 Fits 1-1/2" belt for jeans or work wear. Choose your bag colour from our variation, drop down menu. 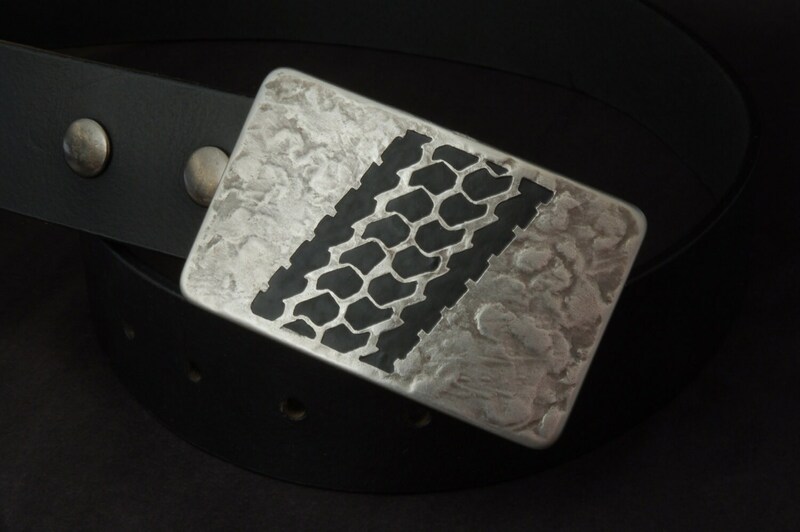 Buckles to fit a 1-1/4" belt for suits, also available in this style.